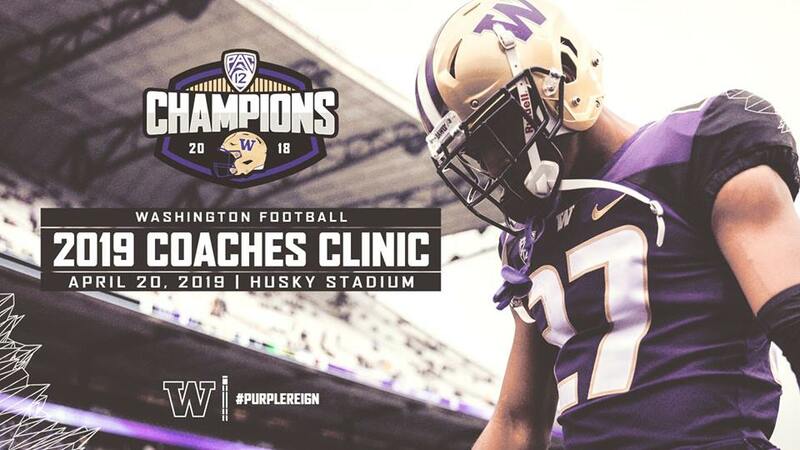 Register: GoHuskies.com/Camps Join University of Washington's Head Football Coach, Chris Petersen, and his staff, at the 2019 Washington Football Coaches Clinic! This one-day, comprehensive clinic will give you the opportunity to learn from some of the best minds in college football. Parking, lunch, and entry to a Husky Football spring practice are included in the price of admission. Pre-registration is highly recommended as this event is expected to sell out. Walk-up registration will be based on availability. Online registration closes at 11:59 p.m. on 4/18/19.